Columbine flowers belong to the buttercup flower family, the Ranunculaceae. 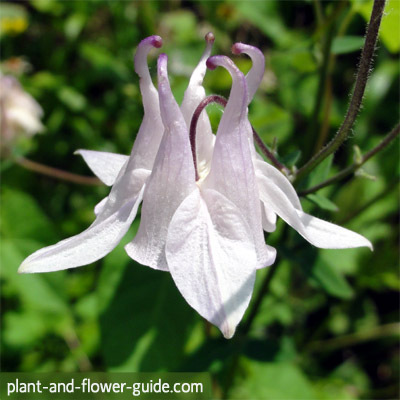 The scientific name of the genus is Aquilegia. These perennial plants are native throughout the temperate regions of the Northern Hemisphere. Aquilegia flowers are very unique due to their distinctive shape. They have five modified, elongated and spurred petals and each has a blade. Alternately there are five sepals that are longer than the blades of the petals. The design of the elongated spurs is very special and an evolutionary adaptation. Because of this feature only long-tongued insects and birds can reach the valuable, sweet nectar (and simultaneously pollinate the flower). The flowers exhibit many different colours like white, pale pink, light blue, dark violet, red, and yellow. Some species/hybrids are bi-coloured. The flowers of some hybrids are filled. There are so many kinds of varieties! The plants grow in different sizes depending on the species: from 10 centimetres (4 inches) to 90 about centimetres (35 inches) in height. 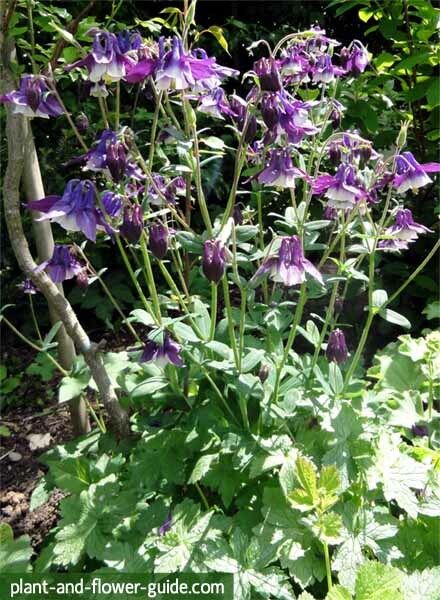 Aquilegia species and hybrids are very popular garden plants. They are traditional flowers of farm and cottage gardens. Because the blossoms attract various insects and birds it is the ideal flower for near natural gardens. The flowers have a lovely deep lilac blue colour. These columbines are very robust. This is the state flower of Colorado! The petals are generally pale but yellow, pink and red variations exist as well. This one has red flowers and gets pollinated solely by hummingbirds. This Aquilegia species grows very large and has also large, golden-yellow flowers. The attractive leaves appear like little fans. The flowers have various colours. The flowers are red and have a yellow centre. Aquilegia vulgaris is the common European species. This wild flower has two very popular cultivated hybrids: Biedermeier Columbine and Black Barlow Columbine. 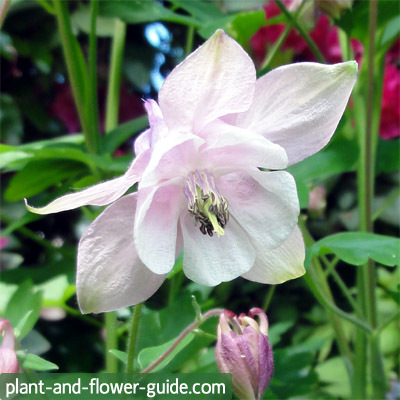 Another well-liked hybrid is the Cardinal Columbine (Aquilegia Songbird Series).